Turn Your Bookkeeping Chores (and Your Paperwork Headaches) Over to Us! As a small business owner, you have your hands full running your business. Bookkeeping is the perfect thing to delegate to professionals – like us! We know exactly how to take care of your bookkeeping needs so you can focus on more important things. The phrase “Bookkeeping Services” goes by many names. Accounting professionals today call it Client Accounting Services. Older CPAs call it write-up work, because they were “writing up” or compiling the numbers to generate the trial balance. 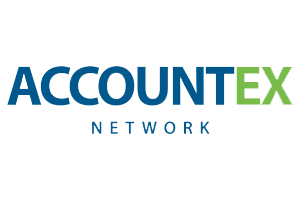 You might hear the phrase outsourced accounting services, which simply means you’re letting another company handle your books. 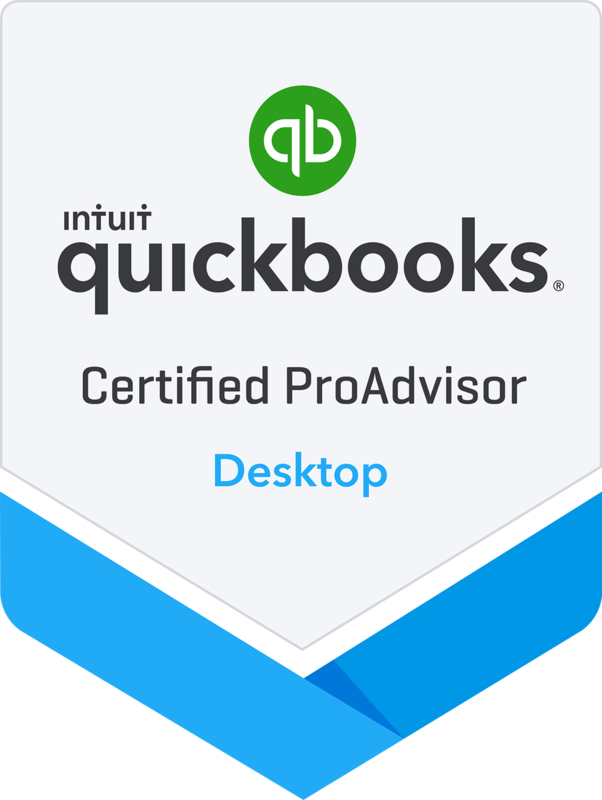 Virtual accounting services and cloud accounting are two terms for bookkeeping that is done using accounting software that’s entirely online (as compared to on your local PC). Most entrepreneurs and owners of small businesses simply call it bookkeeping or handling the books. No matter what you call it, your books contain valuable information to help you run your business. It’s important that they are accurate, timely, and efficiently processed. There are so many benefits to hiring a bookkeeping company to take care of your books. Have you ever wondered if you were doing your books right or if you were missing something in your process? Now you don’t have to worry. You’ll have peace of mind knowing your books are being done right and that everything is correct. You’ll love the time (and stress) you free up when we take care of your books. You can focus on your business, and we can focus on those pesky deadlines for you. No more late nights and Saturdays doing books; instead you can spend your newfound time any way you want. We provide you with accurate financial reports to give you great insights so you can make well-informed decisions to run your business better. Your books will be right and ready when tax time comes around. You won’t need to spend time worrying since we can work directly with your tax preparer (plus we can talk their language, too). We can alert you when we’re seeing potential waste, extravagant spending, or just when things look a little out of the norm to us. We can also help you reduce risk, and we can identify opportunities in your business that you can monetize. With those big bookkeeping chores and deadlines handled, you can focus on your business and what matters most. We’re small business owners just like you. Unlike bookkeeping employees, we don’t need to be trained or supervised. We don’t charge for vacations, benefits, sick time, mistakes, training, or even payroll taxes. We come “hassle-free,” and we don’t bother you with personal problems! We’re thrilled to have you as a client, and your relationship is important to us. We’re committed to earning your trust. Here are just a few of the bookkeeping services that we offer. 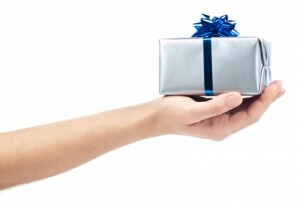 We’ll design a package of services that is best for your business and your budget. No job is too small or too big for us! Each month, it’s important to reconcile key accounts, including your bank accounts, PayPal account, merchant accounts, credit card accounts, petty cash, and loans. The reconciliation is done by comparing your bank statement balances with the ones in your accounting system, then taking into account outstanding transactions. Any corrections needed to your books can be made on a timely basis so that your balances remain correct. 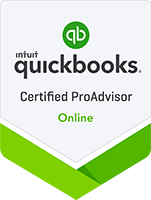 You may need help with invoicing, accounts receivable management, and collections. We can assist with the preparation and distribution of customer invoices, proper recording in the accounting system, payment matching, payment recording, statement preparation, credit memo and refund processing, and collection of past due invoices. We can generate reports to help you manage your customer records and accounts receivable better, including customer balances and aging reports. If you need help writing off uncollectible accounts or other adjusting journal entries, we can assist. It’s important that you have the best billing system for your business. We can help with billing system selection, customization, implementation, and integration with your accounting system. Plus, we can train your staff on the new system as well as review and improve your accounts receivable processes to make your business more efficient. We’re here to help you with bill processing, including submission, document management, approvals, check writing, and payments. We’re experienced with accounts payable management and can make sure you have the best controls set up to give you peace of mind. We can perform some of the more advanced functions, such as three-way matching, automated payments, expense report processing, invoice fetching, vendor management, automated data entry, and more. Accounts payable is an area where automation has streamlined the process, and we can help you stay up-to-date and efficient with these new processes. The whole point of bookkeeping is to find out where your business stands financially! We automatically generate an income statement and balance sheet each month for your business. These are key reports to help you measure the amount of revenue and profit you’ve made for the period. Going deeper, there are many fantastic reports that can be generated from your accounting system to help you hone in on an area so you can make smart business decisions about operational spending, staffing, marketing, capital purchases, and all of the things you need to know to run your business. Our bookkeeping services will provide you with a clean set of books that you can use to prepare your federal and state tax returns. We can make adjusting entries and perform year-end tasks so that you’re all set to turn your books over to your tax preparer. Many new entrepreneurs are surprised to realize that federal taxes are not the only taxes that they need to worry about when running a business. Depending on the types of products and services you sell, you may need to collect, file, and pay sales tax on items you sell. Accounting professionals call this area of service SALT, which stands for State and Local Taxes. This area is changing rapidly due to a 2018 court case (South Dakota vs. Wayfair, Inc.) which opened the floodgates for interstate tax collection on online sales regardless of whether you’ve stepped foot in the state or not. States are hungrily looking for more revenue, and this is driving rapid change in state’s requirements for collection as well as expanding what’s taxable. It’s almost always better to consult an expert in this area – even before you file your sales tax application with the states. If you owe sales tax from prior years, there are many “holidays” and amnesty options that professionals will know about. Every business needs an accounting system to keep their books. 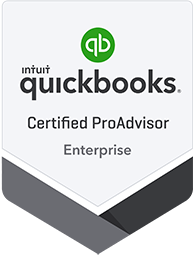 Examples include QuickBooks Online, QuickBooks Desktop, QuickBooks Enterprise, NetSuite, Sage, and Xero. You may have an accounting system that is industry-specific. The most important question is whether you have the best accounting software solution for your business. 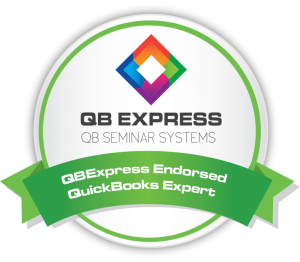 We can help you with many aspects of your bookkeeping system: training to improve your efficiency, accounting software selection, setup of new systems, improved customization so you can get better information, migration to a new system, and streamlined workflow design. If your accounting software meets your basic needs, but you need additional functionality, we can often solve that with an add-on accounting app. 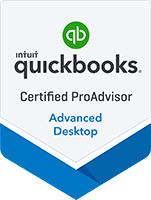 There are now hundreds of add-on applications for your accounting system that can improve a multitude of things: inventory, invoicing, time-tracking, bill pay, reporting, and so much more. We have excellent knowledge of the ecosystem of accounting systems and applications so that we can help you become more productive. Managing a business has a lot do to with managing the risks associated with being in business. With every good accounting system (and where money is involved), it’s essential to maintain a proper set of controls. These controls start in your accounting system and expand to your staff’s duties. Accounting professionals call this “internal controls,” and it’s a core accounting concept that impacts every business. We can help you identify risks you may not know you’re taking and tighten up controls to help reduce your business risk. If your bookkeeping is a little (or a lot) behind, don’t worry! We can have it caught up in a jiffy. We have many tools that can help us import or scan in older transactions to make the work go fast. Are We a Good Fit for Your Bookkeeping Needs? The first step is to contact us. You can call, email, or schedule a consultation. Find our email and phone on the Contact page. We’ll schedule a complimentary consultation so we can find out about your business and your current situation. During the consult, we’ll ask you a few questions about your business and your current accounting solution. Then we can provide you with a quote or suggest a set of services or packages that are right for your business and your budget. Once you’ve decided to become a client, we’ll start the “new client onboarding” process. It’s simple and painless. In no time, your books will be sparkling clean and you’ll have peace of mind. We look forward to hearing from you via phone or email. to claim your complimentary consulting session.